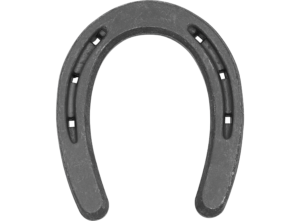 The St.Croix Forge Pony shoe is designed for our smallest equine customers. The generic shape is ideal for ponies and easily modified into fronts or hinds. The section is appropriate for the small size and they are punched for RN4.5 nails.